OXID eXchange | FATCHIP OXID Plugin Portal Taxonomy 1.2.3 Sourcecode | Stable | EE, PE | 4.4.x - 5.3.x | Module, Themes, Language Packs direkt herunterladen! Creation of a product feed for Google-Shopping. 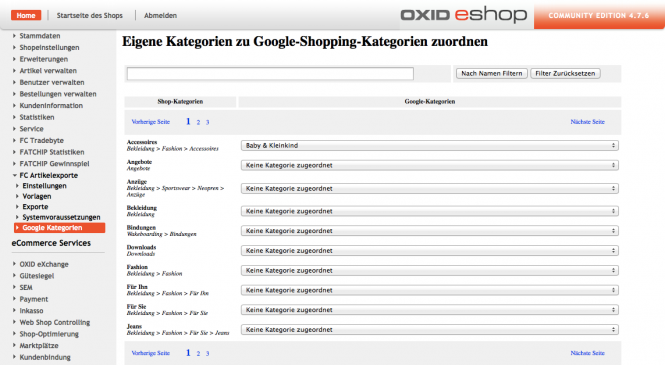 With this plugin you can map your product categories with the Google-Shopping categories. Please note: In order to use this plugin and create an optimized product feed for Google-Shopping, you will first have to purchase and install the OXID Plugin Article Exporter. Our plugins are delivered open-source and are tested up to PHP 5.6. Please fill out the PDF in the download section and send it - including a proof of payment - to us, preferably via email. The FATCHIP OXID shop plugins for OXID’s PE can be implemented in OXID CE without any problems. For further information on CE compatibility please visit our FATCHIP Wiki. 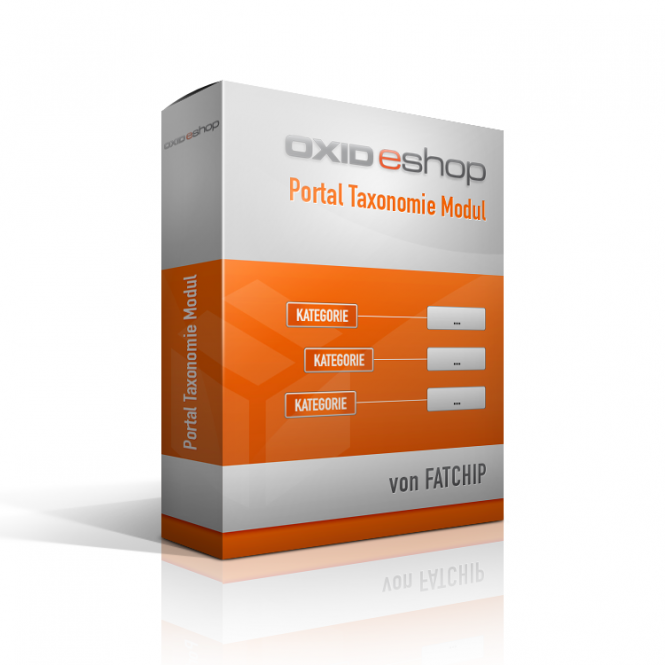 FATCHIP offers the development and programming of interfaces and complex extensions for your OXID eShop. Advice and support concerning the shop's administration, data maintenance as well as user trainings for the smooth operation and a stable, efficient and future-oriented development of your e-commerce infrastructure also represent core competencies of FATCHIP. You are an experienced developer of OXID plugins yourself? Then go visit https://www.fatchip.de/en/career and join our team!